3.4m Japanese cars recalled over airbags | What Car? Japans four largest vehicle manufacturers - Toyota, Honda,Nissan and Mazda - are recalling 3.4 million cars around the world over a potential fault in front passenger airbags. 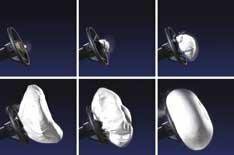 Parts within the airbags may have been improperly assembled by the supplier, potentially causing the front passenger airbag to 'deploy abnormally' in a crash. The recall was triggered by five cases of Toyota airbags inflating incorrectly in Japan and the US, although no injuries or deaths have been reported. Toyota is recalling 1.73m vehicles globally, including 76,000 in the UK. The vehicles affected were sold between 2000 and 2004. There have been no reported incidents involving Honda, Nissan or Mazda cars, although their recalls will ensure that any defective parts are replaced. Honda said it is recalling around 1.14m vehicles in total, although only 15,475 cars are affected - CR-V models built between 2002 and 2003, and Stream models built between 2001 and 2003. Nissan's recall involves fewer cars globally - around 480,000 vehicles - but more UK cars are affected. A total of 59,058 vehicles will be recalled, covering X-Trail, Patrol, Almera, Almera Tino, Terrano II and Navara models built between 2000 and 2004. Mazda is recalling about 45,000 vehicles globally, of which just less than 2000 are in the UK. Any owners affected by the recall should be contacted within the next few weeks. The repair, where needed, is expected to take up to two-and-a-half hours to complete.